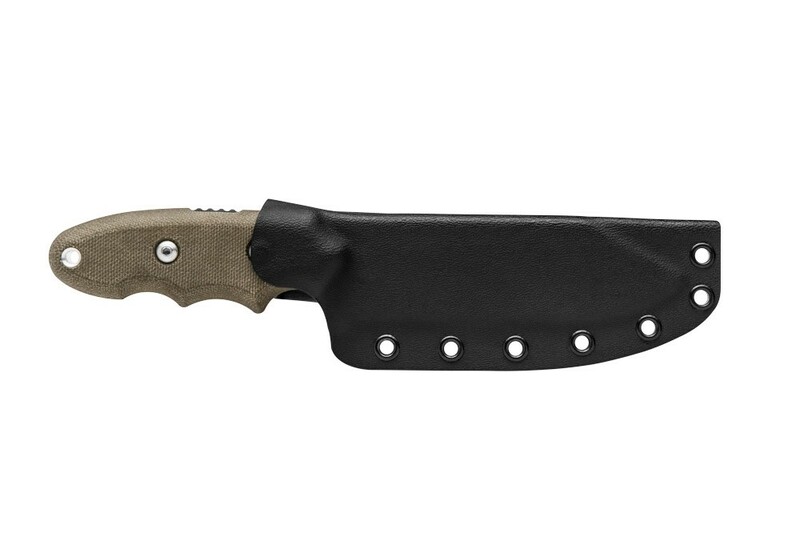 Because you should always carry a knife. 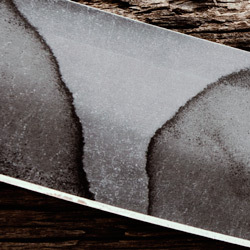 Bowie knives have long been popular amongst knife enthusiasts for good reason. 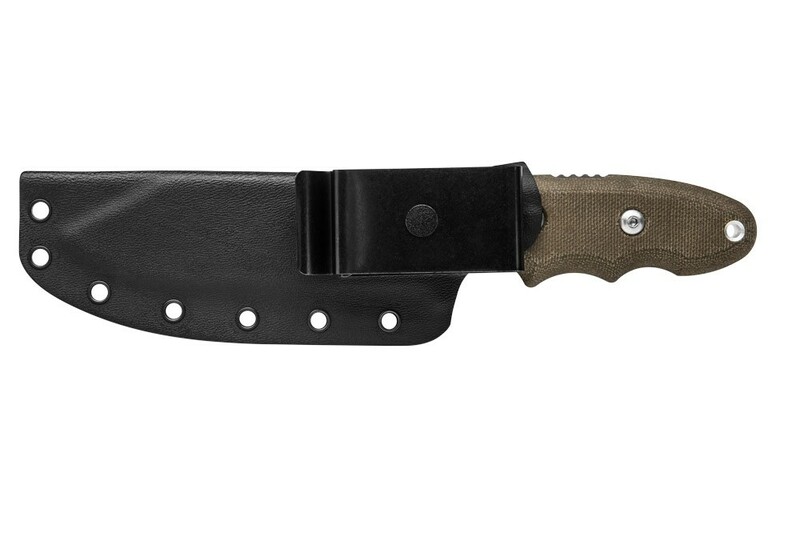 The characteristic clip point blades provide for versatility in a wide range of users. 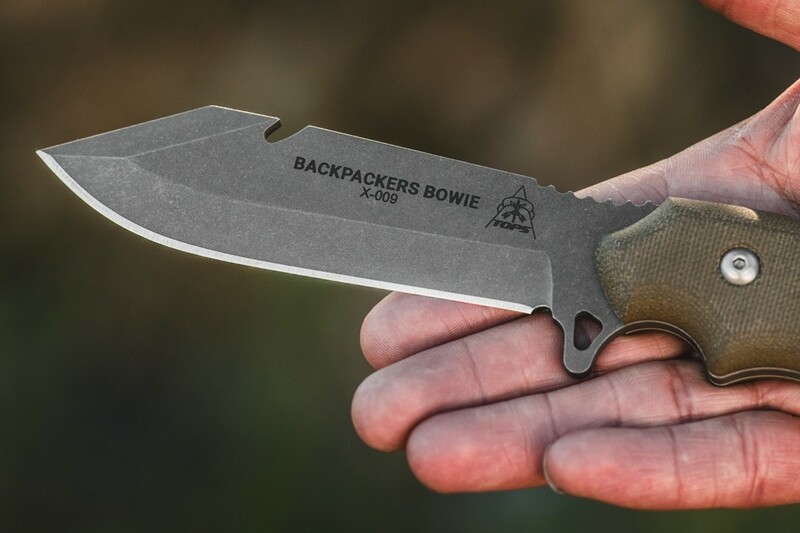 However, most Bowie knives are on the larger side. 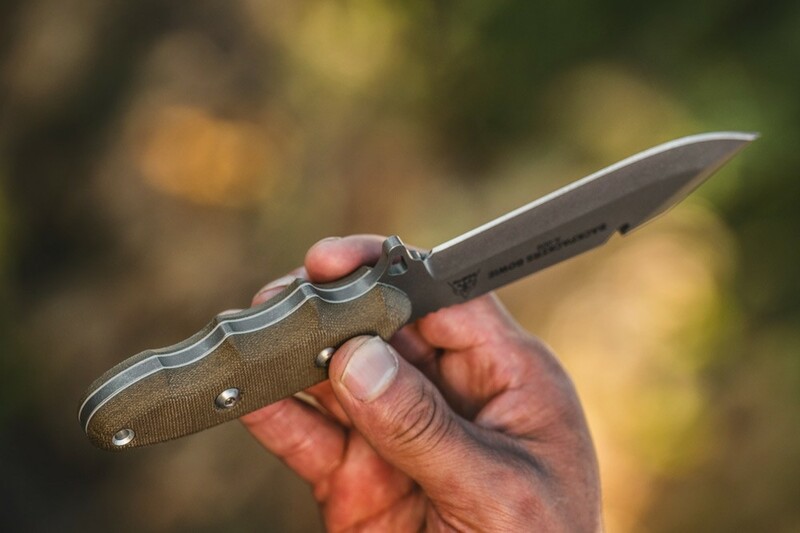 There's nothing wrong with that and those knives have their place in every man's kit. 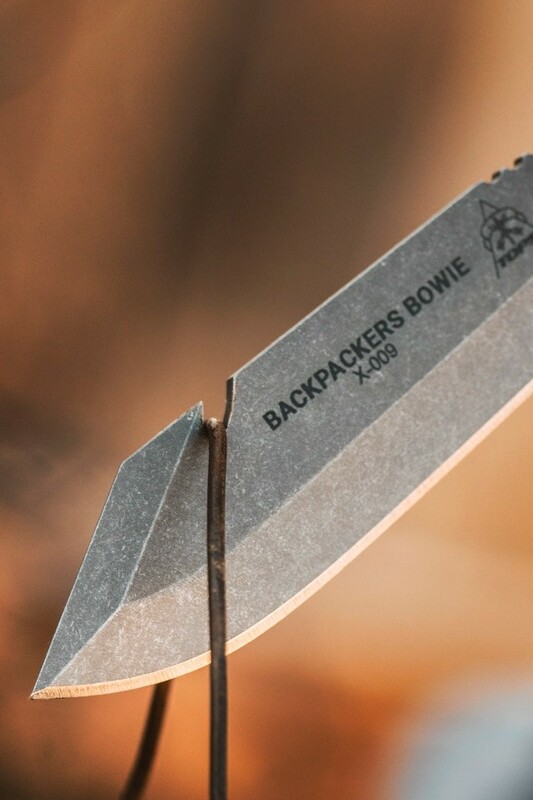 But the goal with the Backpacker's Bowie was to make a shorter version that even a backpacker would carry (every ounce counts). 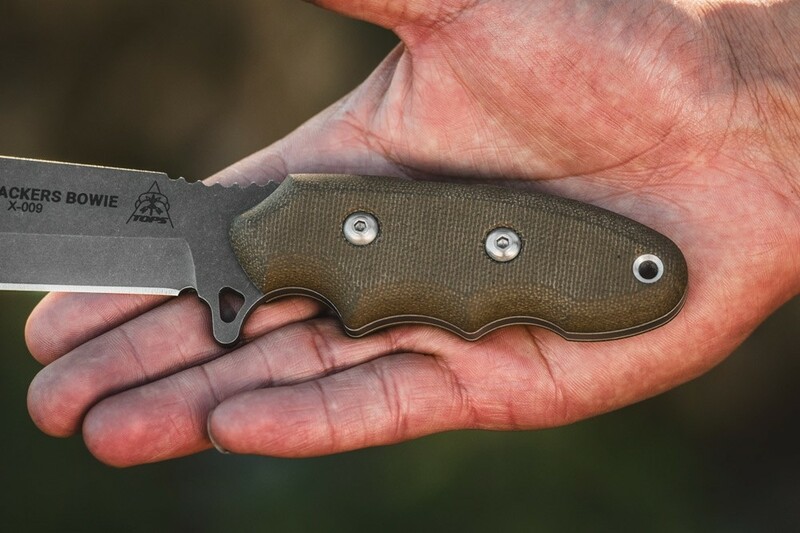 How many pounds and ounces can you carry and for how far? 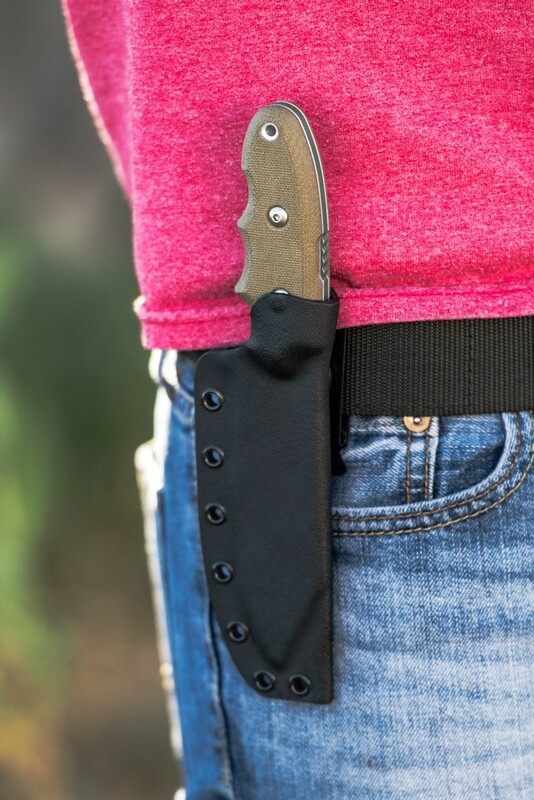 This is why backpackers tend to be careful about what they pack on their trips. 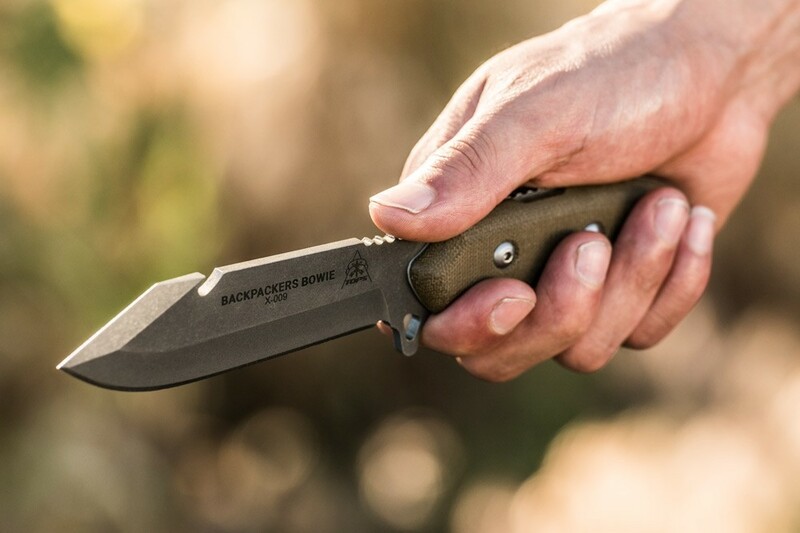 This is why there are super light items for everything from tents to stoves to water bottles and even clothing. 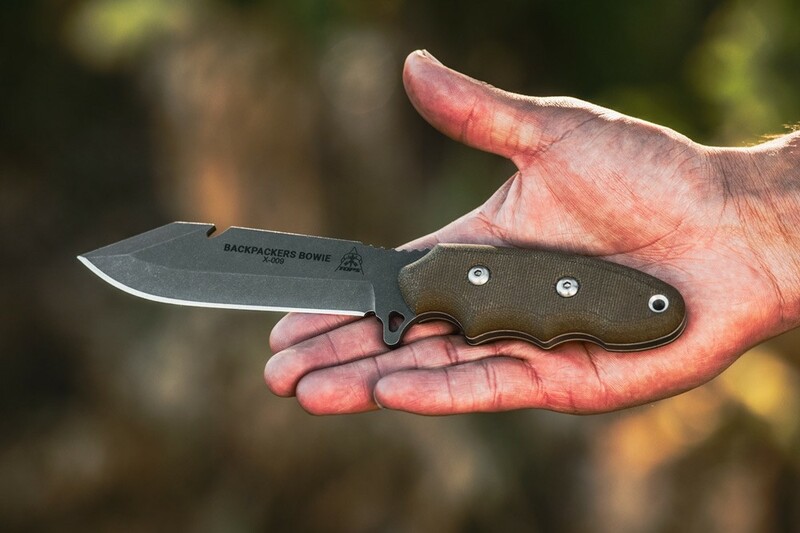 One of the most important items in any backpacker's bag is a blade. 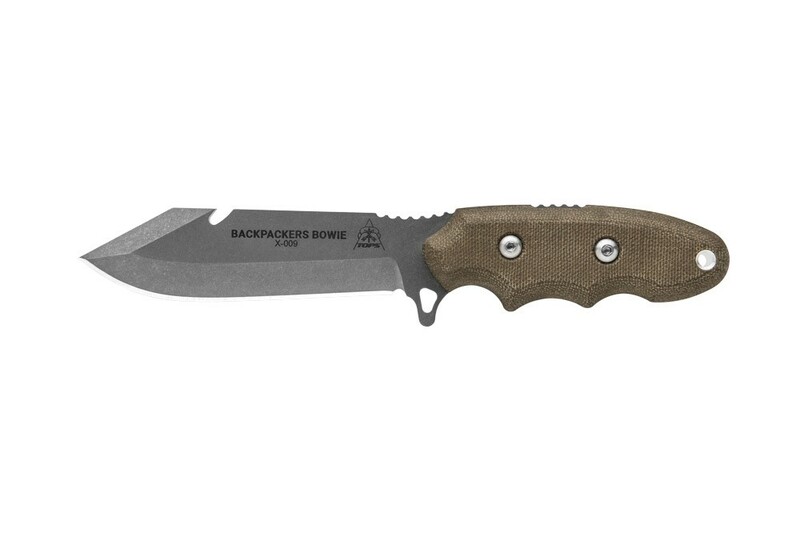 Some backpackers put a high priority on having bladed tools and others not so high, but almost all carry some type of knife. 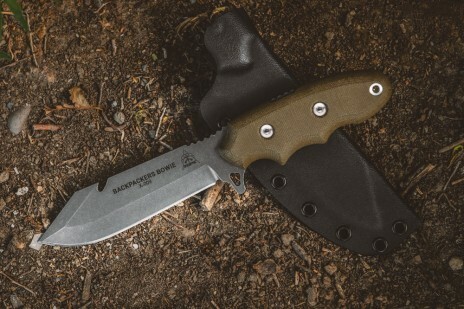 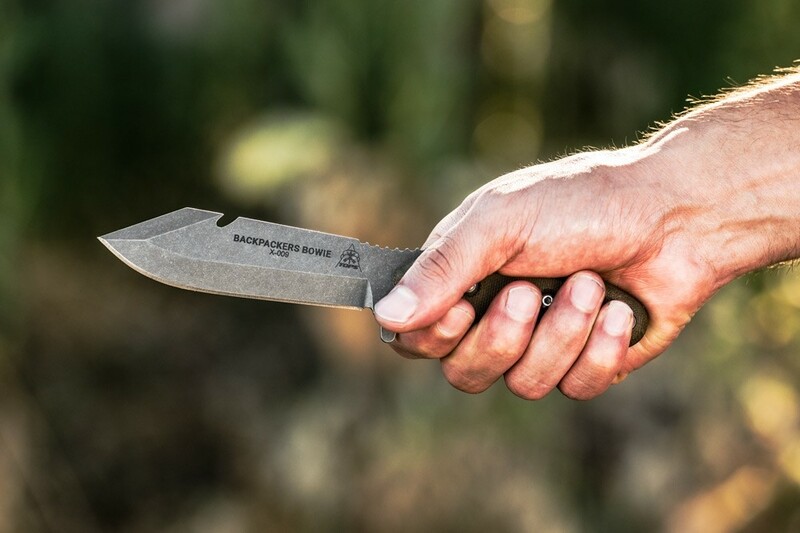 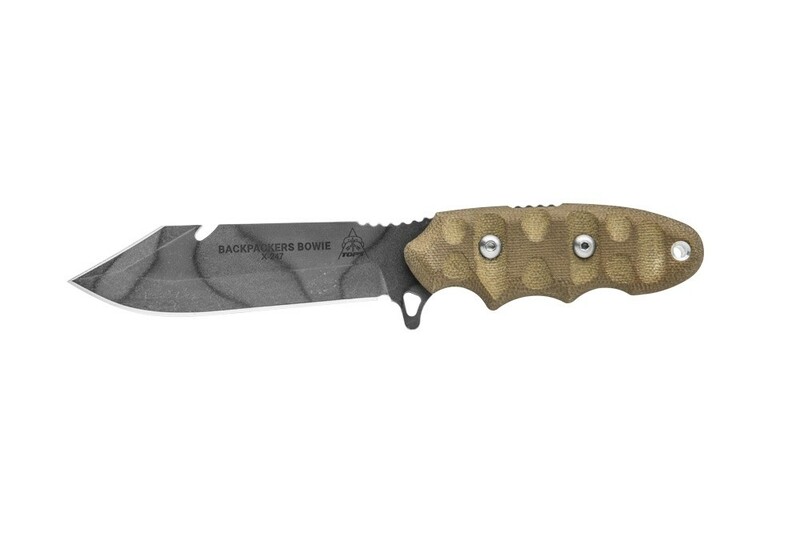 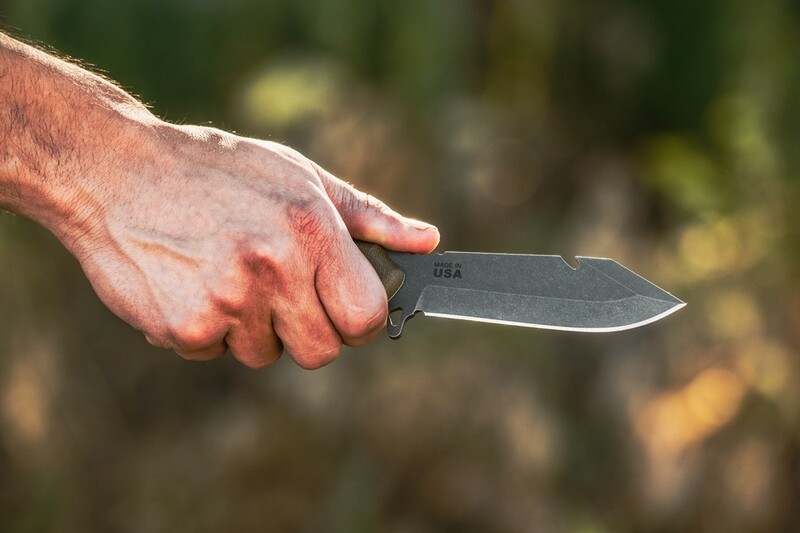 TOPS set out to make a Bowie knife that would meet the needs of the guys that want a knife that will not fail them, but without adding a lot of weight to their loadout. 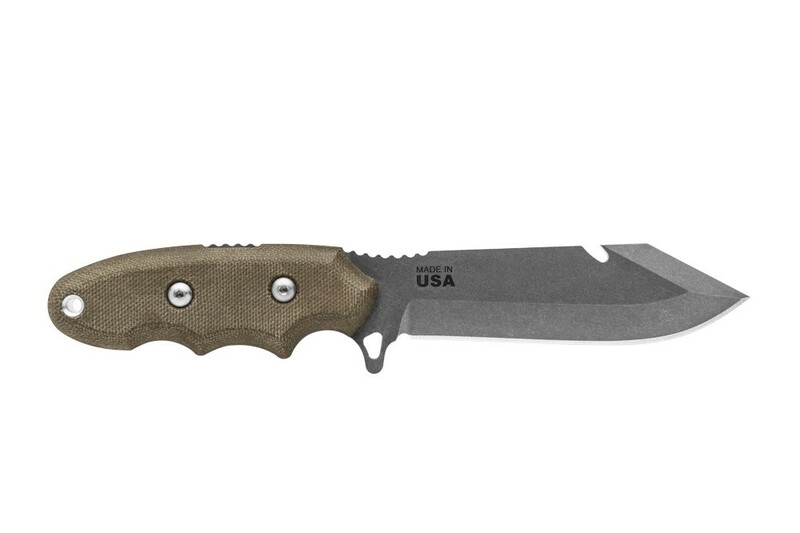 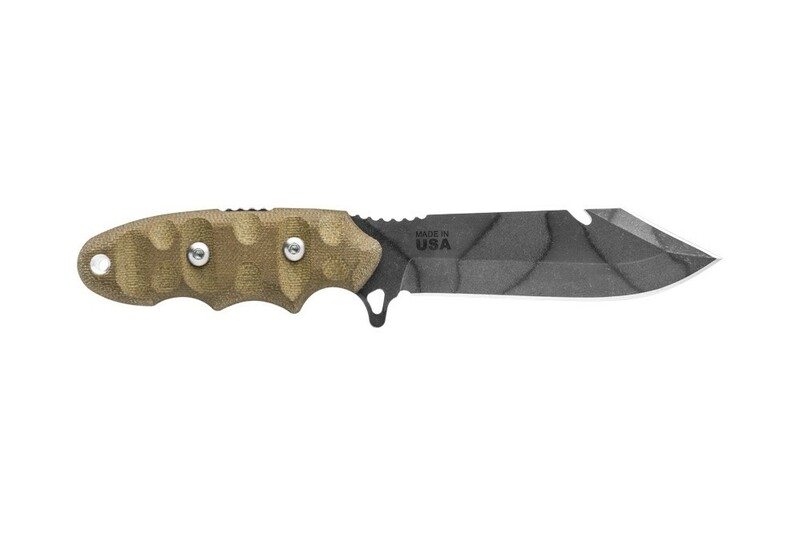 The result is a 4” blade that could be the most important piece that goes on the backpacking trip. 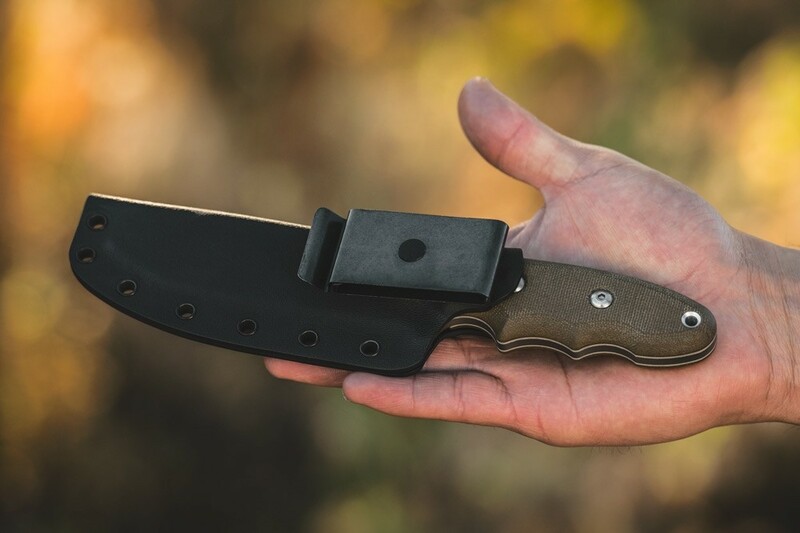 Aside from the normal uses a knife affords, the notch on the spine is for breaking wire or pulling a pot out of the fire and the swedge can be sharpened upon request. 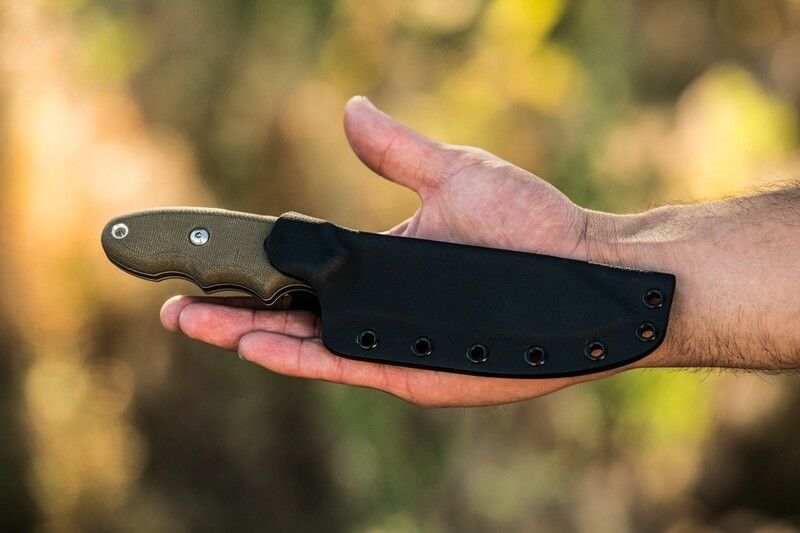 The full, rounded handles provide a comfortable grip whether you're exhausted from walking all day or you're lounging around the campsite. 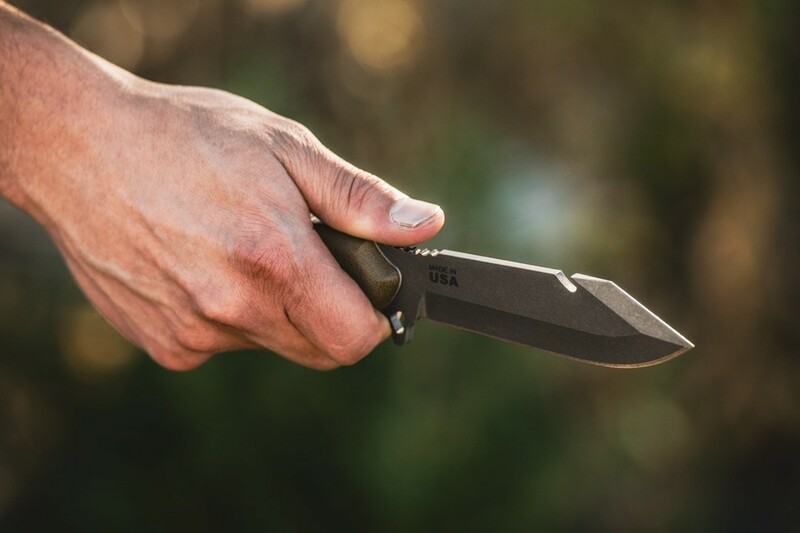 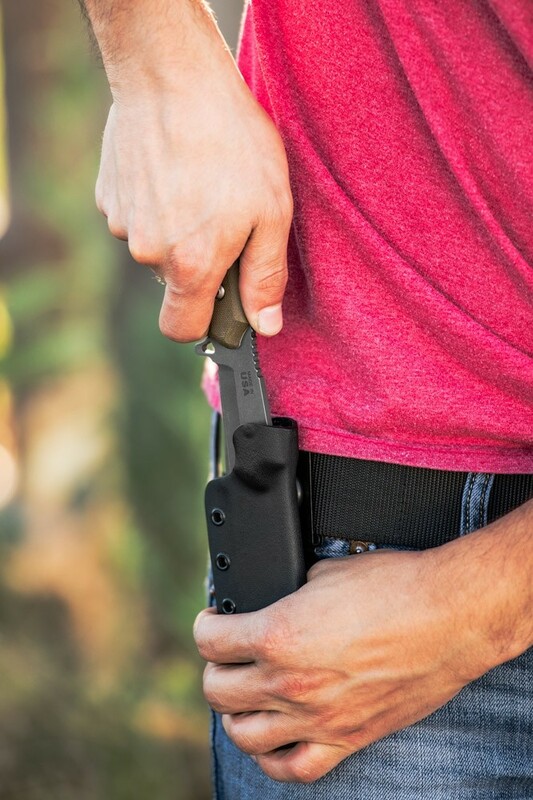 The Kydex sheath has a rotating clip so that it can be worn on the belt or clipped to a pack rather than taking up important space inside of it.